Hoards of attendees scramble to find the G Festival Golden Egg! To coincide with the Scampton Airshow this years annual staff party was held on the 9th September. 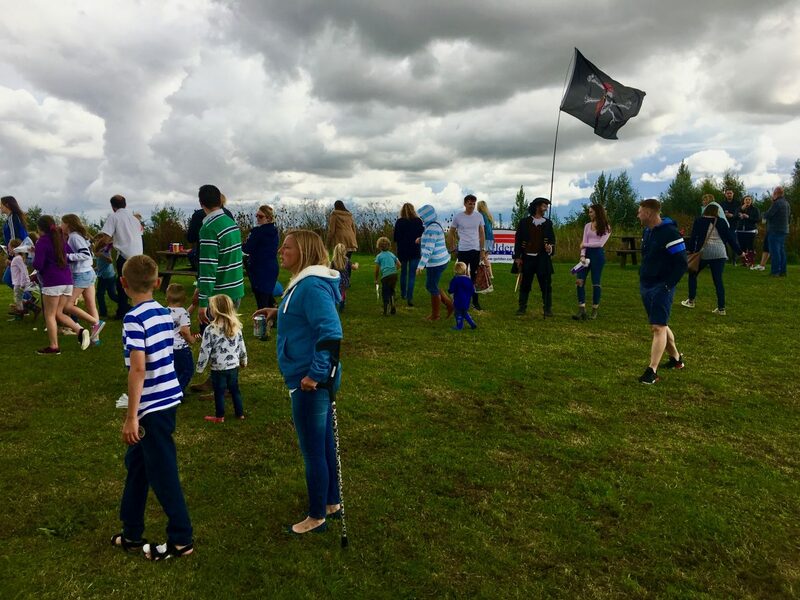 At the event over 150 staff and family from Gelder Group enjoyed watching the aerial displays from the airshow as well as the games and events that were organised on site. While the weather remained dry for the most part, chaos descended when the hunt for the ‘Golden Egg’ was launched to win an iPad Mini during a downpour, but despite the weather everyone hunted through the 16 acre park and the Egg was eventually found by Emma Martin.